Here is my UFO finish for February. It is called Harmony Square by Linda Ballard and was started last month in a class at Road to California Quilt Show. 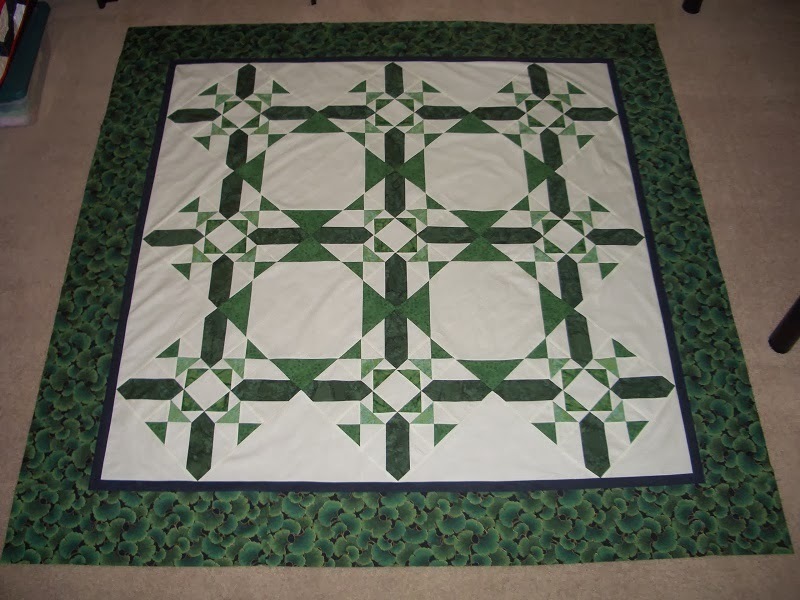 I will be looking for some great quilting designs to put in the snowball squares and triangles. The border fabric is a Ginkgo Leaf that I purchased awhile back. I will send this off to Marti for the February UFO Parade. Hope you were able to finish yours this month. This is beautiful. I am also working on my UFOs with Marti this year. Fantastic job on this quilt. I have admired it since I first saw it in the UFO parade. But I keep coming back to look at, and I like it a little more every time I see it. A Red and White Quilt Show.